Traditions of America operates on the principle that 55+ buyers deserve to Live Better. The concept of creating a company designed to develop Pennsylvania retirement communities came when the founder started helping his mother search for the ideal community. Disappointed by the options, he set out to create the 55+ communities he would want for her. His goal was to create lifestyle-focused communities that make the process and transition seamless for new active adult residents. So, Traditions emphasizes lifestyle in everything they do. 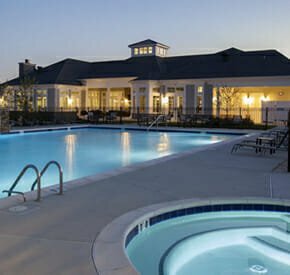 Each community they build is lifestyle focused. And, each home is built with the active adult in mind. Traditions was the 55+ Home Builder of the Year in the U.S. in 2016. So, we're not the only ones aware of its dedication to building what active adults want. Customizable homes with first floor master suites are primary considerations. Designer kitchens and resort-style living are other basic accommodations. And, the list of options beyond that is infinite. For more than 20 years, Traditions of America has focused on delighting active adult homebuyers. 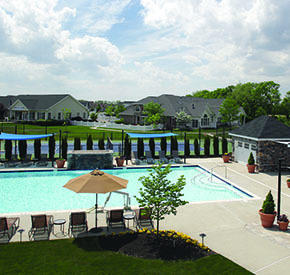 Traditions doesn’t just build Pennsylvania retirement communities. They take pride in improving the lives of homebuyers. And, the company’s growth and awards reflect this focus on homebuyer satisfaction. Because Traditions is aware that lifestyles vary greatly, they accommodate all walks of life. In fact, the level of home customization options is comparable to custom home building. Additionally, Traditions has developed special programs that make the seemingly impossible, possible. 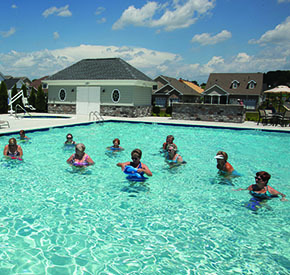 Active adults are able to buy exactly what they want in communities they love, regardless of limitations. Traditions not only allows but encourage customers to indulge themselves. They're of the mindset that 55+ homebuyers have earned the right to design their home exactly as they want. Professional designers are on staff at all Traditions' design centers to help ensure this happens. So, customers will find the latest cabinetry, flooring, countertop, tile, and fixture options available. Homebuyers have choices at Traditions of America, as well as flexibility. In addition to interior design, they provide a variety of structural options. Homeowners, for instance, can choose to add sunrooms, screened porches, outdoor kitchens and home extensions. Additionally, they can choose to move walls, change kitchen layouts, increase shower sizes, and select from myriad other options. So, the 55+ buyer makes a house their home, their way. Another added Traditions benefit? The Traditions Realty Team. Traditions helps buyers sell their present home so they can get to the community they love faster. They'll even provide a contingency on the purchase of a home. So, the sale isn't final until the buyer has sold their existing home. Traditions offers financing options by preferred lenders. And, the ever popular Home Equity Conversion Mortgage (HECM), a government guaranteed program to help buyers over 62 buy, is included on the list. Once Traditions appeared on the Pennsylvania community landscape, several cities and townships implored Traditions to set up shop in their communities. So, the the positive impact that Traditions communities have has been felt far and wide. 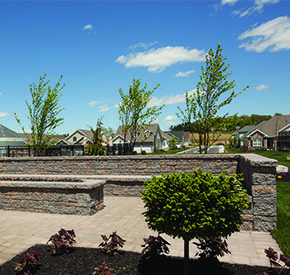 Traditions' success in creating positive 55+ lifestyles with efficient site and home construction schedules precedes them. Request information so you can start living the life you want sooner!